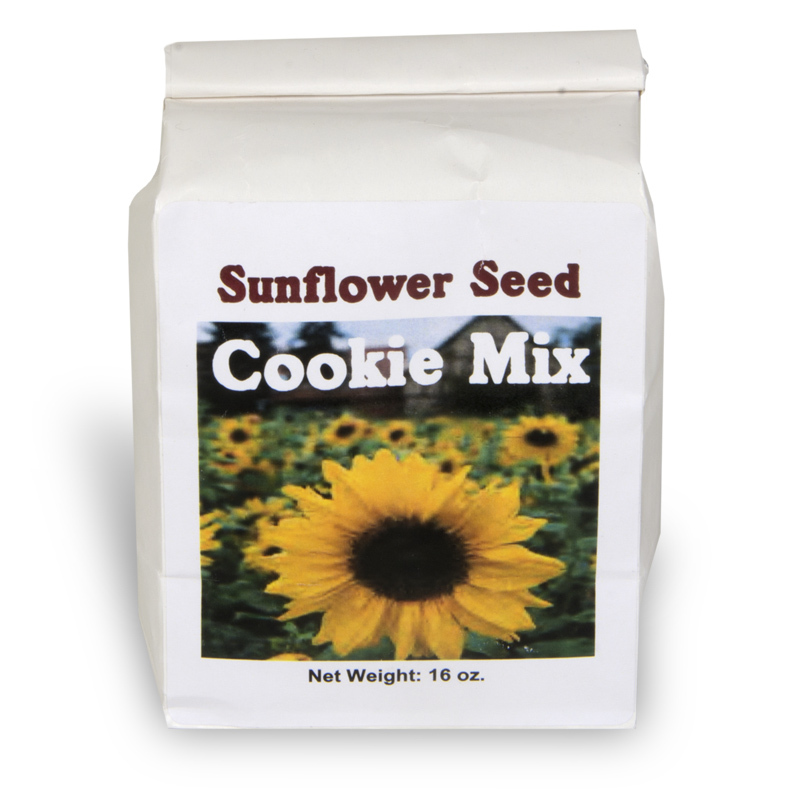 From the heart of wheat country, these delightful sunflower seed cookies make home baking fun again. Easy to make, they are the perfect Kansas treat. In 1903 Kansas adopted the vibrant Helianthus as the state flower. Today the plant has become an important crop and a popular symbol of the state. By Old Muffin Factory of McPherson, Kansas. Located near a historic building in McPherson, Kansas, the Old Muffin Factory has been in business since 1990. Their uniquely flavored baking mixes make home baking fun again. From the heart of wheat country, Les and Kala Mason created Mason Marketing Co. in 1990. They were inspired by the Kansas wheat fields nearby and their mutual love of the baking arts to create unique designer baking mixes. These mixes include some unusual flavors, like muffin mixes with apple cinnamon or watermelon, pancake mixes with blueberry or piña colada. Bread machine mixes, cookie mixes, and quick bread mixes are among the other offerings. In 2003 the business moved to an older building, which houses wholesale distribution operations. The Old Muffin Factory mixes celebrate the tastes of the heartland.